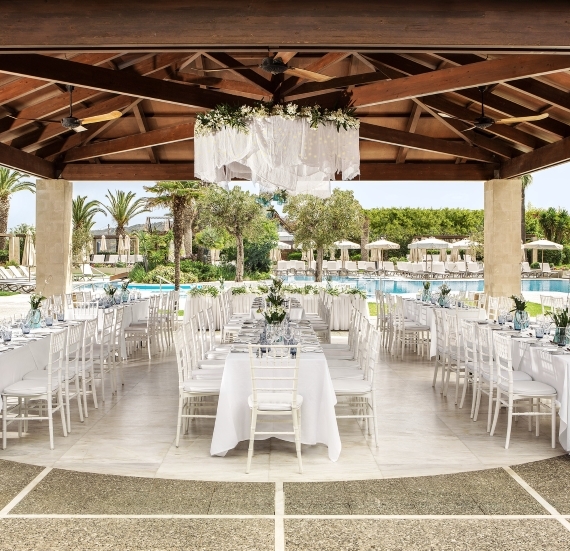 The strikingly-designed Sheraton Hotel, carved into the hillside in Ixia, is just four kilometres from the heart of Rhodes Town and a 20 minute or so drive from Kalithea Spa. 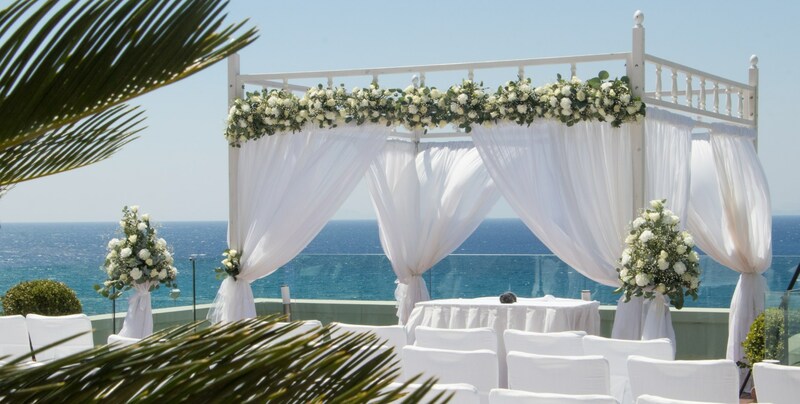 With lush gardens and wonderful sea views, the hotel is the perfect setting for weddings of any size, and a good choice for your stay in Rhodes. 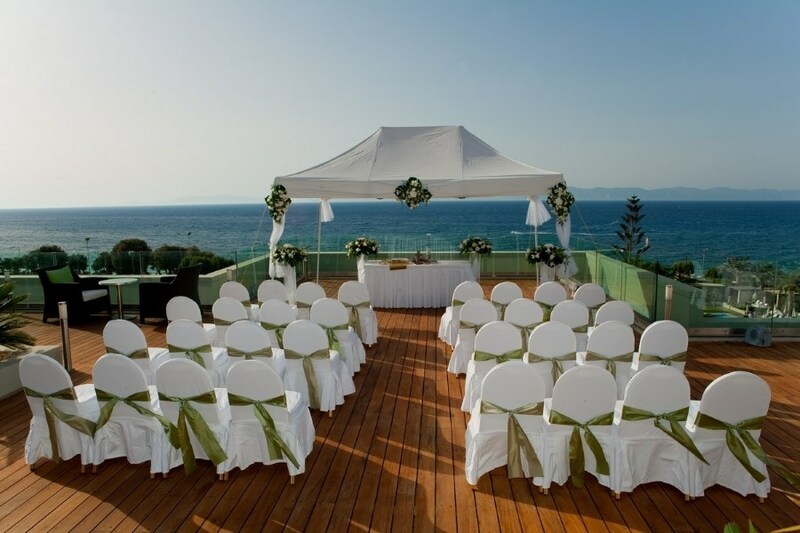 Your wedding ceremony or reception will take place in a choice of two areas - the 6th Floor, which offers a fresh and vibrant design, ideal for an outdoor wedding or reception for up to 100 guests, with stunning views over the Aegean sea. 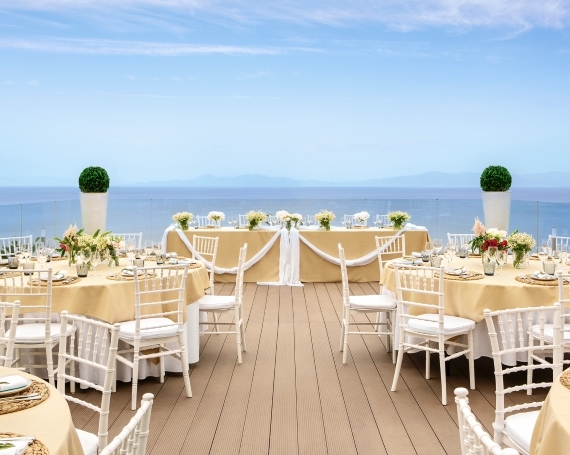 Or the 7th Floor decked area, which offers a private space for up to 70 guests, with amazing sunset views. Enjoy the views during your champagne reception and as the early evening draws to a close, dance the night away with your wedding guests. 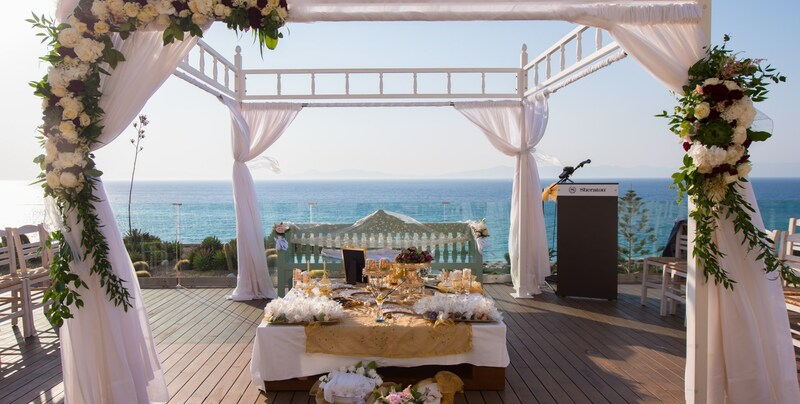 With superb service, an option of mouth-watering menus and an extensive wine list, the Sheraton Hotel is a firm favourite of many Unforgettable Greek couples. The hotel's experienced wedding team go that extra mile to ensure your reception goes perfectly. Additional ceremony fee applies for the set up and hire of this venue.